Ready, aim, FIRE! 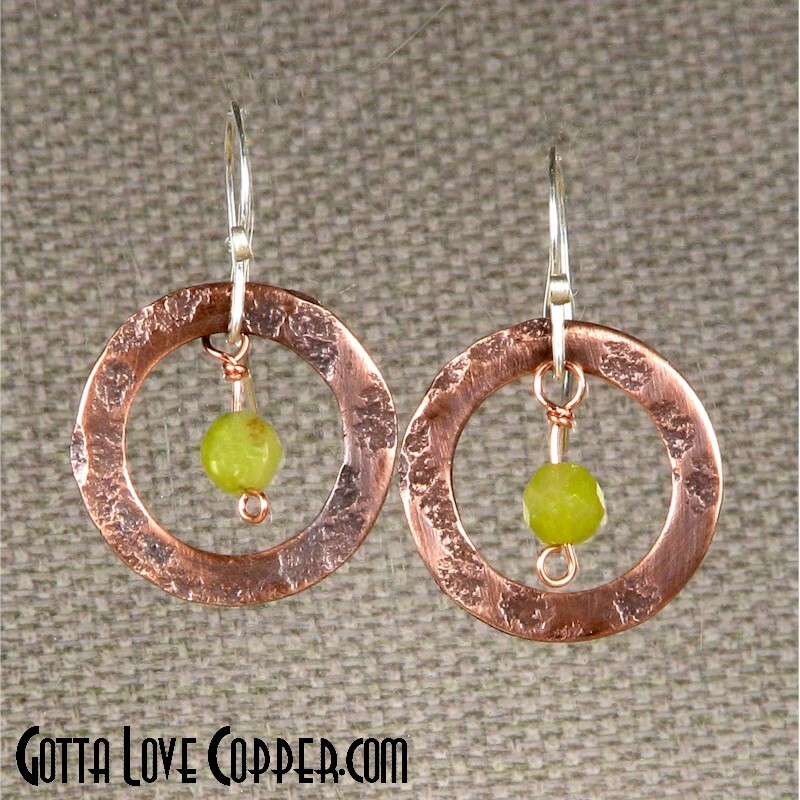 These neat earrings are patterned copper hoops each with a 6mm faceted bead as a "target." These will be in constant motion while worn! These earrings are about 1" in diameter.